With the New Year just around the corner, we are looking at what features and trends will be big hits with drivers in 2017. A crossover is essentially a mix between a car and a SUV. Examples of these vehicles are station wagons or hatchbacks. What makes these vehicles so convenient is that that they offer the drivers the additional space of a SUV but packed into the smaller size of a sedan. We expect to see more drivers taking advantage of this sedan-SUV hybrid. It is no surprise that self-driving cars made this list. Many drivers and car manufacturers are interested in using this technology to make driving more convenient. Some vehicles like the Tesla Model S already include self-driving capabilities. As the technology improves more car companies will likely add this feature to their car’s offerings. Apps are growing from only living on our computers and mobile devices to being incorporated into our cars. An increasing number or car manufacturers are now offering voice-controlled services, apps and artificially-intelligent systems in their vehicles. Just as technology in cars in growing, safety features are also becoming a priority among car companies as new advances in safety features become available. Features like forward collision warning, backup cameras, blind-spot warning systems, lane departure indicators and rear cross traffic alerts are now available in more and more vehicle models. Looking to get yourself into a car that has some of these fantastic features? 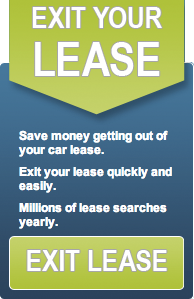 Check out the selection of hybrid lease options on Swapalease.com.